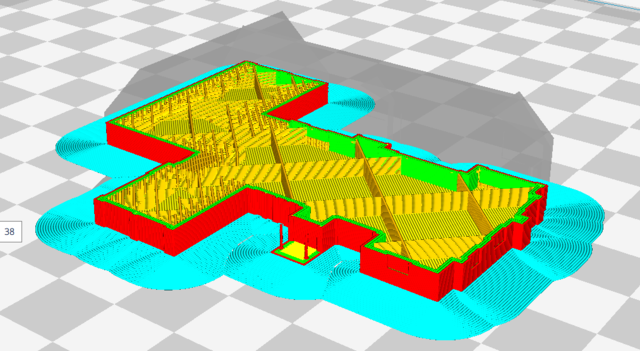 I'm hoping you can help me with some problems I'm having with my Ultimaker 2+, I've had a look at the trouble shooting guide but I'm not sure if they highlight whats going wrong. I've attached a series of images - which show what I'm seeing on screen and whats happening to the prints. 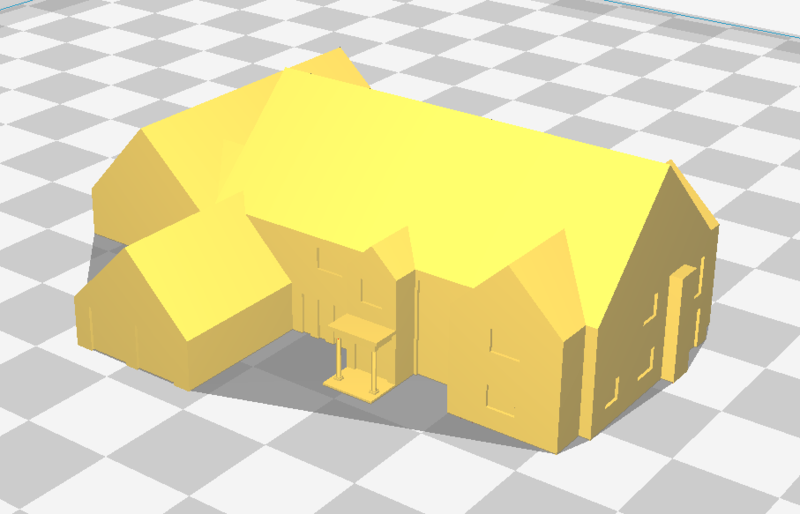 What seems to happen is the printer does not follow the layering slider that can be seen in Cura - and misses out information, resulting in a stringy mess. 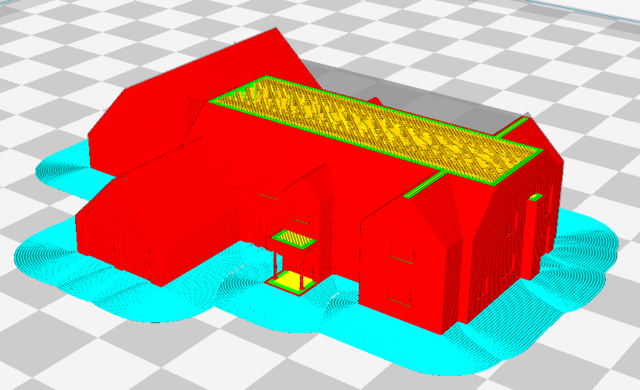 I've run the stl file through Meshmixer to troubleshoot any issues with the model (made in SketchUp) and it fixes all problems (non manifold areas etc). Notice that only one roof was printed, leaving out the others and making a mess of string. The final picture of the part itself is tough to see clearly. At first it looks like the roof on the left is done but I think it's not. I'm pretty sure there is nothing wrong with cura - I think it's giving you good gcode. So what's going wrong. There are a few possibilities. Did you see it still printing when it was making spaghetti? One possibility - the most likely in my opinion - is that the part came loose from the glass. The part was sliding around the bed and the head was printing in the wrong areas (over air sometimes) and made the spaghetti. I'm not confident this is the issue but you should know - was the part loose when you came back to the printer? Part of the problem is if you wait for the bed to cool completely the part is likely to come loose anyway once it cools. So you'd have to notice before the bed was completely cool or maybe you *did* notice and the part was still stuck nicely to the glass at this point. Another possibility is that it stopped printing for several layers and than miraculously started again. This is very unlikely because once it stops it is unliekly to start again. A third possiblity - maybe now I'm leaning to this one - is that your Z axis slipped down suddenly. It went down maybe 10mm in one second and so was printing over air. This was a common problem with UM2s a while back and was fixed by lowering the current to the Z axis because the Z stepper driver was getting too hot. When it gets too hot it shuts off but only for less than a second. During that time if your Z axis is nice and loose the bed can slide down quite a bit before the Z axis has power again and stops moving. I would assume issue #3 unless you know the part came loose. So I would uncover the PCB (remove the 2 screws holding the cover) and tilt the printer on a book or something and blow some air under there. Or you can lower the current. TinkerMarlin lets you set the currents from the menu system or you can send a gcode to lower the current. Ultimaker lowered the default currents in July of 2015 from 1300ma to 1200ma for X,Y,Z but left extruder at 1250. Other people (I think the support team of a major reseller but I forget) recommend X,Y,Z go down to 1000mA. consider not doing the M500 at first for a test. If you install pronterface and connect to the printer you can find out what the current limits are set to before chaning them. 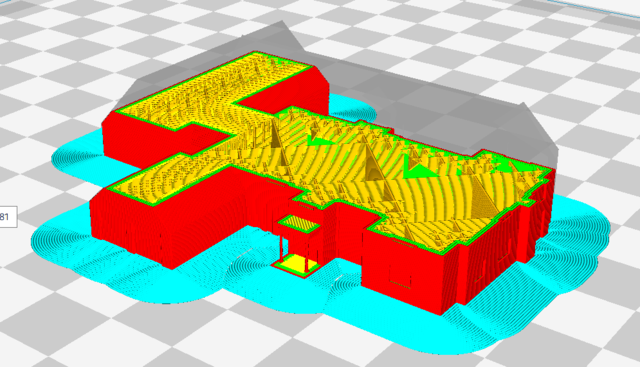 Someone can help you more on this if the fan method helps your prints.